Help us realize the dream of the United States Diplomacy Center. We appreciate your interest and support. Rarely in our lifetime do we encounter the opportunity to create a significant national legacy. Please join us in honoring our diplomats by helping to create a stunning facility that will increase understanding of United States diplomacy around the world through its museum exhibitions and educational programs. 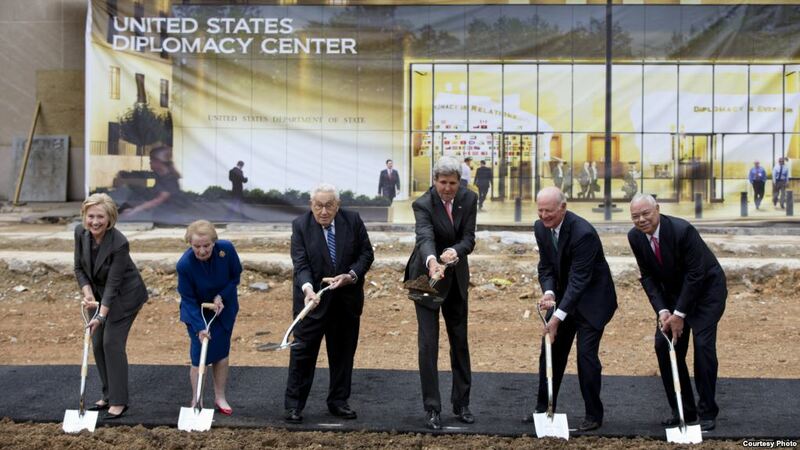 The construction of the United States Diplomacy Center and its exhibits is supported by private donations. We are very grateful to our donors who have given so generously to allow for the completion of phase I of construction. As the Center now turns its attention to phase II of construction and exhibit design and fabrication, we are continuing our capital campaign to raise an additional $22 million in private funding toward this important project. The United States Diplomacy Center at the U.S. Department of State is tax exempt under Section 25 of the Department of State Basic Authorities Act of 1956 (22 USC 2697), the Ethics Reform Act (31 USC 1353), 41 CFR Sections 301 and 304, and 5 USC Section 4111. The Center’s partner, the Diplomacy Center Foundation (DCF), is also a not-for-profit 501 (c) (3) organization. All gifts given directly to the U.S. Diplomacy Center at the Department of State or to the DCF for the U.S. Diplomacy Center’s capital campaign are tax-deductible to the fullest extent allowable by law. Gifts of cash or pledges of cash are desirable to help to achieve the goals of the campaign. The U.S. 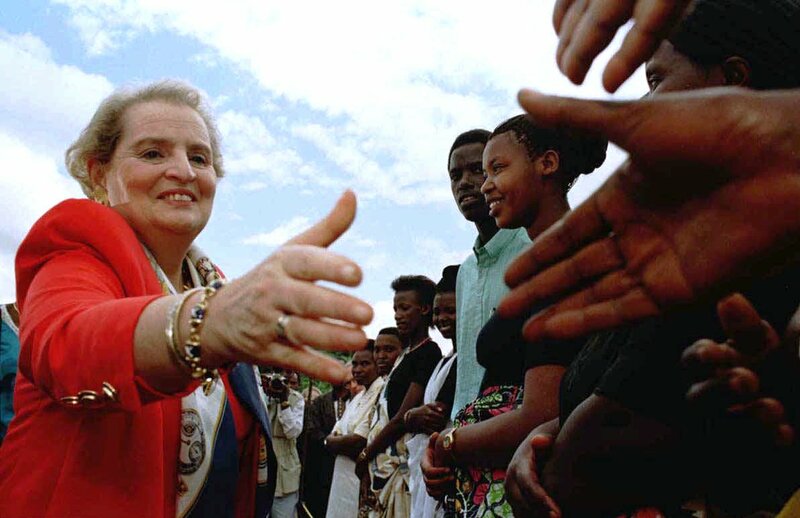 Diplomacy Center offers a three-year schedule for contributions to the campaign, depending on the level of the gift. In lieu of cash contributions, donors may contribute to the United States Diplomacy Center in many other ways, each offering tax advantages attractive to individual financial planning. The Center is prepared to help to structure a gift plan to enable donors to realize the maximum benefit for their philanthropic commitment. Gifts of Appreciated Securities—Significant gifts are frequently paid with long-term capital-gain securities; appreciated assets can often provide donors with attractive income-tax benefits, enabling them to leverage their gifts. Deferred or Planned Giving—Certain forms of deferred or planned giving, including charitable remainder trusts, are attractive ways to reduce gift-tax costs and obtain naming opportunities. Bequests and insurance-policy beneficiary designation will also help build the Center’s endowment. Gifts of Real Estate—Donors may make gifts of real estate, including fractional portions of properties. Tangible Personal Property—Fine-art objects, antique furnishings, rare books, and other items can offer donors an immediate tax deduction; valuation for income-tax purposes will require an independent appraisal. Matching Gifts—Donors who serve on a corporate board of directors or work for a company with a matching-gifts program have an opportunity to augment their gifts in significant ways. They should contact the company’s matching-gift office to learn more about the program and its requirements. Statements of Support for the USDC by previous Secretaries of State, former Secretary Kerry, and former Secretary Clinton. The story is more than fascinating; it’s fundamental to America’s current standing in the world. And now we can make it more familiar to our own people as well. This Center will constitute a permanent record of U.S. Diplomacy and in my opinion it is way past time that something like this was done. The support needed to make the vision of the United States Diplomacy Center a reality is based on a public-private partnership, an idea pioneered by Benjamin Franklin – America’s first diplomat. 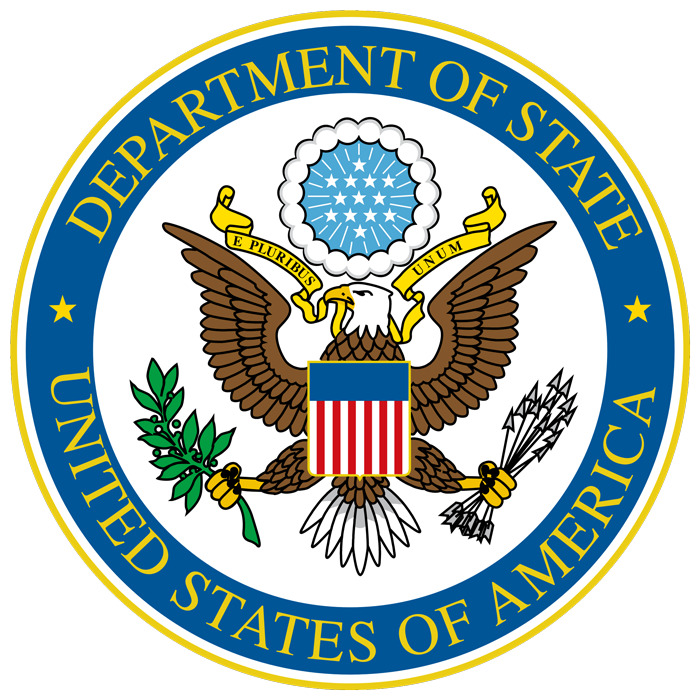 The U.S. Department of State is committed to provide the tangible elements of public-sector support, including the land, operations and utilities, security, staffing assistance and equipment. More information at the Diplomacy Center Foundation‘s website.